I am a little bit of a nail polish addict. I love using new shades. The only bad side is i'm really inpatient when it comes to waiting for my nails to dry! This summer brands seem to be releasing more and more gorgeous shades! 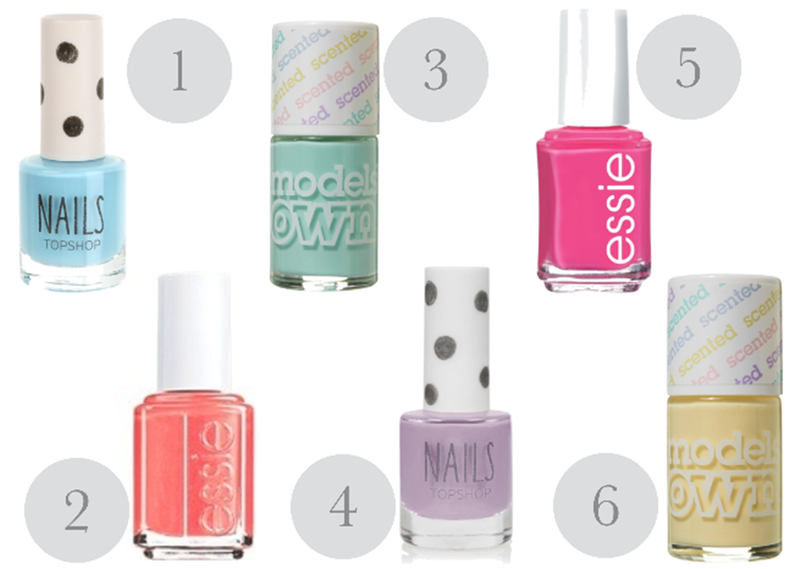 Here's my Summer 2013 nail polish wishlist. Some are new shades, others have been around for a while but I think they're all perfect for summer. 2 ~ Essie "Sunday Funday"
3 ~ Models Own Scented Fruit Pastel Polish "Apple Pie"
4 ~ Topshop "Parma Violet"
5 ~ Essie "Secret Story"
6 ~ Models Own Scented Fruit Pastel Polish "Banana Split"
What's on your nail polish wishlist?